The Scoop: Many niche dating sites aren’t very niche at all. They promise a targeted dating environment but foster diversity by allowing anyone to sign up, even if that person doesn’t fit the niche audience. JWed has vowed to do better for the marriage-minded Jewish singles of the world. Since 2001, JWed has facilitated 3,082 matches between Jewish men and women. This dating site screens all new members for authenticity and then actively removes profiles that don’t meet its criteria. If you aren’t a Jewish single looking for a Jewish spouse, the team isn’t shy about saying you don’t really belong on the site. As a leading Jewish-only dating site, JWed has a responsibility to its users, and the team works hard to offer quality-driven matching tools to serious daters in the Jewish community. Although interfaith marriage is on the rise in the US, a Pew study found that 69% of married couples share the same religion. Members of some religious groups seem more diligent about this than others. The same survey reported that 91% of Hindus and 82% of Mormons married within the faith, while 65% of Jewish respondents said they’d married a Jewish partner. Marrying someone who shares the same religious views as you do just makes sense. It eliminates a lot of arguments and conflict over things like childrearing, holidays, and Sunday plans. Couples who are on the same page about what they believe and how they want to live their lives naturally build strong family units rooted in tradition, culture, and faith. JWed recognizes the importance of sharing a similar religious view and cultural background with a spouse and has taken action to make it easier for Jewish singles to meet and marry Jewish partners. Since 2001, JWed has been a Jewish-only dating site for marriage-minded men and women. JWed unites Jewish singles who are serious about marrying within the faith. Despite its positive mission, the dating site has received pushback from critics who challenge its membership standards as discriminatory. Google recently pulled its ads and has refused to reinstate them unless the dating site adds language that would include people of other faiths. However, the JWed team agreed that doing so would be unfair to members who aren’t interested in non-Jewish partners and rely on the niche site to provide a more targeted dating network than its competitors. So the JWed team lawyered up and refused to bend to Google’s demands. Instead, they will place future advertisements on Jewish media websites that are more sympathetic to JWed’s mission. Ben said he has no intention of backing down on this issue. To him, it’s a matter of principle. Even in the face of controversy, JWed has stayed true to its founding mission to help Jewish singles find Jewish partners. JWed began as a groundbreaking dating site for Jewish singles, and it’s now transitioning to become a groundbreaking dating app for Jewish singles. The team is hard at work developing a robust and sleek mobile website and app that will be more responsive to users on the go. JWed’s Legacy System is currently easing established members into the mobile-friendly platform. Members can explore the new features and provide feedback as the app is being updated and groomed for official release. Ben said he plans to phase in the new platform slowly over the next year or so and see it grow in popularity before retiring the website and launching the app for iOS and Android users. The JWed team has taken meaningful steps to satisfy and protect Jewish singles seeking a spouse. One of the biggest innovations in JWed’s app is the addition of a Skip option to the traditional swiping interface. Instead of an all-or-nothing, zero-sum game of liking or dismissing, the app offers users a chance to say, “I don’t know” and move on to another profile while thinking things over. This is a more realistic and forgiving system that works well for singles who don’t view dates as disposable. JWed is growing by leaps and bounds, but the team is committed to growing its network responsibly. That means not just adding profiles for the sake of adding profiles but actually taking the time to screen new members and check that they measure up to the community’s standards. The Jewish-only and relationship-oriented dating site cultivates a trustworthy and friendly atmosphere where scammers and spammers are not tolerated. By monitoring its database, JWed’s team makes it easier for users to meet sincere, commitment-oriented Jews. The team has taken steps to actively monitor JWed and remove profiles deemed inappropriate or incompatible with the site’s mission. They are also upping their transparency about this process so users will be notified when a profile they interacted with has been removed. In addition to upping site security, Ben said he’s toying with idea of making a stricter paywall to ensure members are invested in the process. His priority is to maintain a high-quality user base, and he said he sees a subscription cost as an effective way to weed out folks who are not serious about finding a soul mate. In the future, JWed may implement a listing fee or a signup fee in addition to its monthly subscription plan so that inactive and fake profiles will be automatically removed from the site. JWed has members ranging in age from 18 to 80 but the platform’s sweet spot is the over-30 crowd. One interesting trend the staff has noted is an increase in the number of non-religious Jewish singles on the site and app. Around 40% of members identify as Jewish because of their upbringing but consider themselves atheists or agnostics when it comes to their beliefs. These secular singles may not practice the faith, but they nonetheless desire a partner who shares a similar culture and perspective. The dating platform is constantly adapting to keep up with the times and reflect its members’ sensibilities and goals. 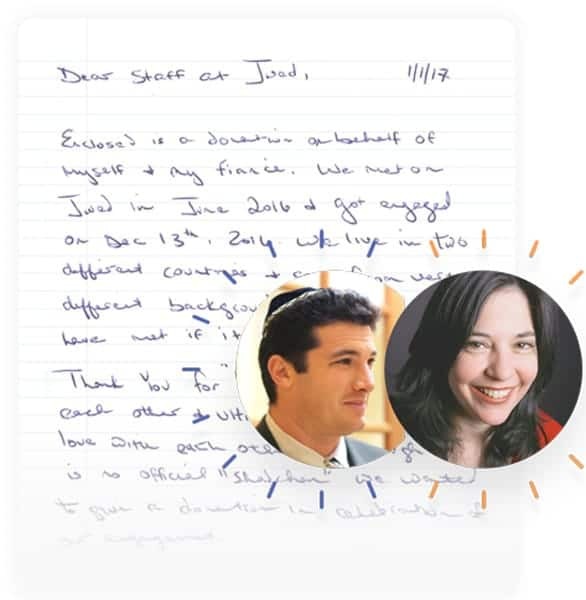 Since it launched in 2001, JWed has sparked thousands of relationships and marriages in the Jewish community. 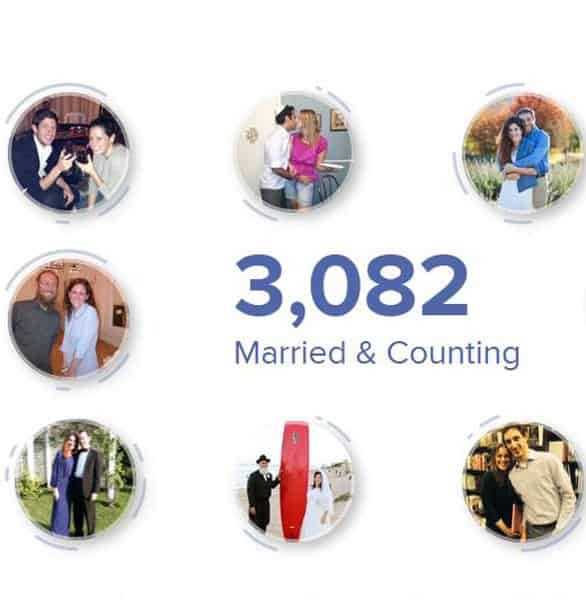 To date, JWed is responsible for over 3,080 successful matches, which means that over 3,000 members have found love and gotten engaged or married thanks to the dating site. In September 2018, JWed added 11 new married couples to its success stories. The team enjoys keeping a running tally of its matches because it highlights the niche dating site’s positive impact on the Jewish community. Marriage is at the heart of JWed’s mission. Its very name reflects the team’s commitment to supporting Jewish weddings, and that’s not going to change any time soon. Since its launch in 2001, the niche dating site has proudly branded itself as a Jewish-only, marriage-oriented dating site. Although this isn’t an easy position to take in the industry, Ben said he has no doubt that it’s the right thing for him, his team, and his members. His responsible moral leadership is carrying JWed into the future. Even as the team updates the platform to keep up with a mobile audience, they remain true to the original values that founded this premier Jewish dating website.